About Us | Xpeditr Inc. 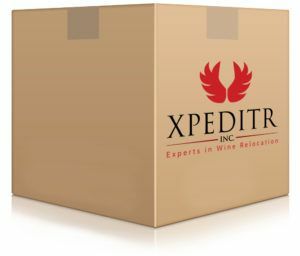 Founded In 2005, XPEDITR Inc. was created in response to the lack of climate controlled shipping solutions for Fine Wines logistics. Our staff guarantee temperature controlled door-to-door delivery. We are the leading expert in temperature-controlled wine relocation across North America and serve Auction, Retail, Wineries and Private collections. Have you ever opened a bottle of wine and it doesn’t smell right or the cork has been damaged? This means your wine was likely not shipped properly at some point in its life. A great bottle of wine is the corner stone to a memorable evening, so it’s important that each collection arrives in perfect condition with no extreme temperature variation or “bottle shock”. 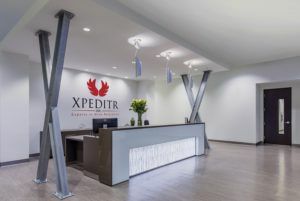 Since our inception, XPEDITR Inc. has put a strong emphasis on procuring the best climate controlled solutions in the industry for full delivery services. In the 12 years that we’ve been in the industry, XPEDITR Inc. has been able to grow a vast loyal customer base unparalleled to any other wine shipping company. We have successfully built an “All-Star” team by linking together a trusted network of sommeliers, logistics, and warehouse professionals to offer you one seamless, 360° custom tailored solution for all your wine transport needs. The perishability is directly related to how the wine was stored and transported. Whether it be 5 cases to 2000 cases. Trust XPEDITR Inc. to carefully ship your collection. We are strongly dedicated to trust, confidentiality, and loyalty as the pillars of the fine wine industry. Our staff are wine collectors and our guarantee is to take care of your collection as if it were our own. Every project is assigned a personal manager to handle your individual wine shipment and work with you directly, which gives you personal touch, more control, and a boutique experience. We understand how long it takes our clients to collect their wines and how imperative it is to keep these treasures safe. Our paramount goal is to maintain the vitality of the wine, by keeping it under consistent conditions to procure the ultimate aging process.